The cooling technology industry is alive with product innovation, from advancements in connectivity and energy efficiency, to design flexibility and the automation of Legionella control and its associated maintenance and administrative processes. Each project has its own requirements and restrictions so specifying the right cooling products depends on a multitude of factors. Understanding some key differences between technologies is important. Here we consider three common cooling methods: cooling towers; wetted surface hybrid coolers; and adiabatic technology. Getting to grips with what each of these brings to a project can aid the selection process and deliver improved efficiency and reduce operational expenditure. Five of the most important considerations are: budgetary constraints; installation criteria; OPEX; energy and water efficiency; and the automation of Legionella control. Let’s take a look at those in more detail. As the more traditional cooling method, a cooling tower comes with the cheapest purchase cost when compared to the other more modern technologies. Typically a cooling tower would cost around 40% less than an adiabatic cooler and less than half the price of a market-leading hybrid model (based on a 1,420kW specification). It is important to remember, when considering the CAPEX of a cooling product, to also consider any installation costs and additional plant requirements. 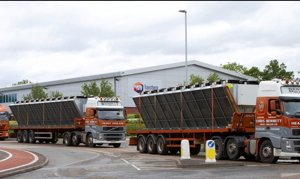 Cooling towers, whilst cheaper to purchase, require costly onsite erection and the purchase of chemical dosing plant, which often overrides the initial budget benefits of the system. Wetted surface hybrid coolers typically cost 80-120% more than an adiabatic system. Modern plant room scan be very small, with space for occupants optimised. Specifiers are often left with complicated or crowded locations, requiring a product with a small footprint or adaptations. By design, cooling towers offer the smallest footprint, with hybrid models next in line; but this alone shouldn’t be the final deciding factor. Focusing on flexibility of design, some leading cooling equipment manufacturers, especially in the adiabatic sphere, are innovating ways in which their products can be installed in more confined surroundings, without impacting on performance. Extendable legs, top-mounted attenuators, and even designing equipment which is sliced in half to fit into restricted areas are also all important options with modern technologies. 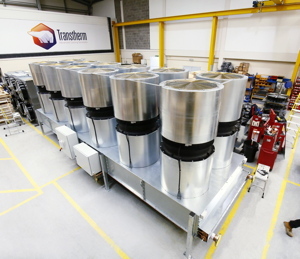 Operational cost considerations should include not only electricity and water consumption costs over the anticipated lifetime of the cooling equipment, but also the ongoing chemical treatment requirements and maintenance regimes of high-risk equipment – cooling towers and hybrid equipment fall under this category. Looking at electricity costs in isolation, cooling towers perform similarly to adiabatic coolers with hybrid technology consuming around twice as much. Water costs, of course, sway in favour of adiabatic products as the only one of the three which doesn’t rely heavily on evaporative cooling. These themes are explored more below. When considered in the round, hybrid and adiabatic technology outperform legacy cooling towers for both power and water consumption. But which of the more modern technologies is considered the most efficient? Using the previous example of a 1,420kW specification, the estimated annual electricity consumption cost for a hybrid cooler is £16,000, compared to a cost of £7,200 for an adiabatic product when the electricity cost is assumed at £0.12/kWh. When it comes to water consumption, hybrid cooling plant uses evaporative cooling methods for around 50% of the year, only switching to dry mode in temperatures lower than 9.6°C. Adiabatic technology can work efficiently in dry cooling mode for 97% of the year when operating in colder climates like the UK - only switching to evaporative cooling when temperatures exceed 21-23°C - a tiny 3% of the year. Given this advanced dry cooling capability, it should be no surprise that adiabatic coolers consume approximately 2% of the water used by wetted surface hybrid dry coolers. If we examine those figures closely, as water consumed in cubic meters over a one-year period for a 1000kW unit, an adiabatic cooler consumes 92m³ of water, compared to a hybrid cooler which requires 8,647m³ and a conventional cooling tower which is more in the region of a staggering 28,032m³. Cooling equipment which stores water, or has a heat exchange surface that is directly wetted is notifiable to the local authority under the ‘Notification of Cooling Towers and Evaporative Condensers Regulations 1992’ act. This includes traditional cooling towers and wetted surface hybrid coolers. The registration and ongoing administration for a high-risk product, plus the management of a chemical treatment programme is a resource-hungry task. Class-leading adiabatic technology on the other hand, like Transtherm’s compliant products, inherently prevents the production and transmission of Legionella through a pre-commissioned UV system fitted as standard. By administering a 30ml/cm2 UV dosage at the end of a lamp’s life, the system can be categorised as 99.999% effective at killing Legionella, assuming that the water has a UV transmission of more than 95% in a 10mm cell at 254nm. These systems have a trigger point of around 23°C so the adiabatic spraying function is in operation around 3% of the year. With long periods of inactivity, fail-safe modes are incorporated to ensure the correct UV treatment is administered in the warmest months of the year, when the plant operates at temperatures most conducive to the cultivation of Legionella.